The key to winning at craps is to know the odds of different bets, and put your money on the bets with the best winning odds. Here are the best and worst bets in craps. Place the 6 or 8. These two Place bets have decent odds, and a lower house edge than most other bets. If you Place a 6 or 8 to win, the house has a 1.52% edge. If you Place a 6 or 8 to lose, the house has 1.82%, which is still reasonable. Lay against 4 or 10. The house has a slightly bigger edge on this one, at 2.44% It is still one of the best bets on the table. Place a 5 or 9 to lose. Another decent bet, the house edge comes in at 2.5% for this one. Field bets with 3 to 1. Usually field bets have a 2 to 1 payout, and that’s not a good bet. However, some casinos offer 3 to 1 payouts. In this case, the house edge is 2.78%, and this is not a bad bet to make. Big 6 and Big 8. These are even money bets, but your odds are less than even, giving the house a 9.09% edge. You are better off making a Place bet on the 6 or 8 instead. Field bets with 2 to 1. 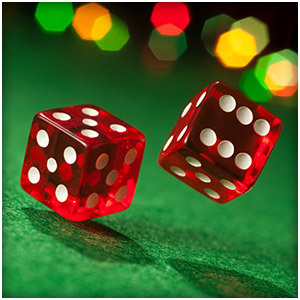 If the casino only offers 2 to 1 payouts on field bets, that means the casino has a 5.6% edge. That makes this one of the worst bets you can make. Come and Don’t Come bets. There are a few reasons to stay away from these. You have to get the same number thrown twice in order to win. You lose when a 7 appears on the first roll, and the bet only pays even money. Hard ways and Proposition bets. The odds for these are not good, and the casino has a big edge on them. 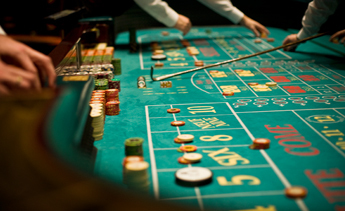 These bets are typically made by people who are new to craps.